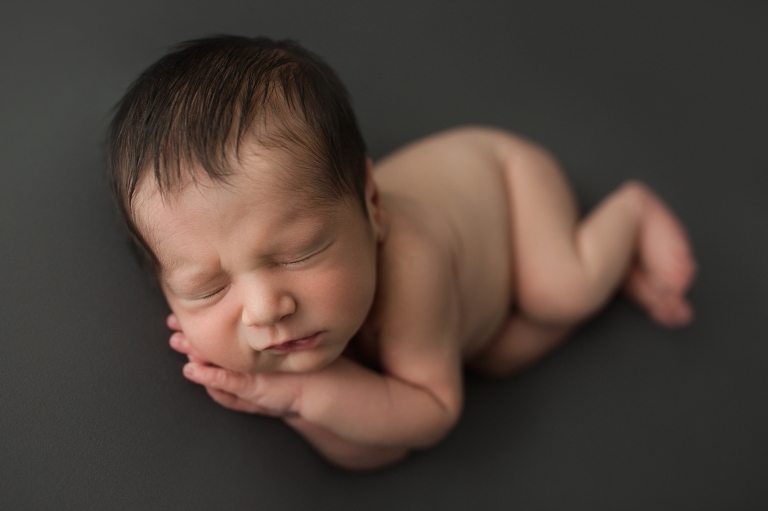 As a Tacoma Newborn Photographer, I photograph a lot of cute babies. This boy was exceptionally handsome though and had the best head of hair! He also slept like a dream and I was able to do every pose I had planned for him! The colors that mom chose for the session were perfect! They complimented this baby boy’s complexion so well and made for a beautiful, cohesive gallery! 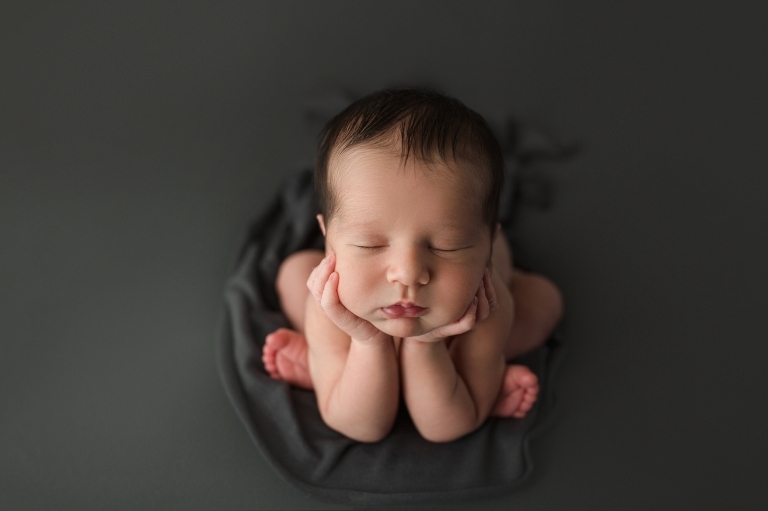 My favorite image from this newborn session is the first one in this post! 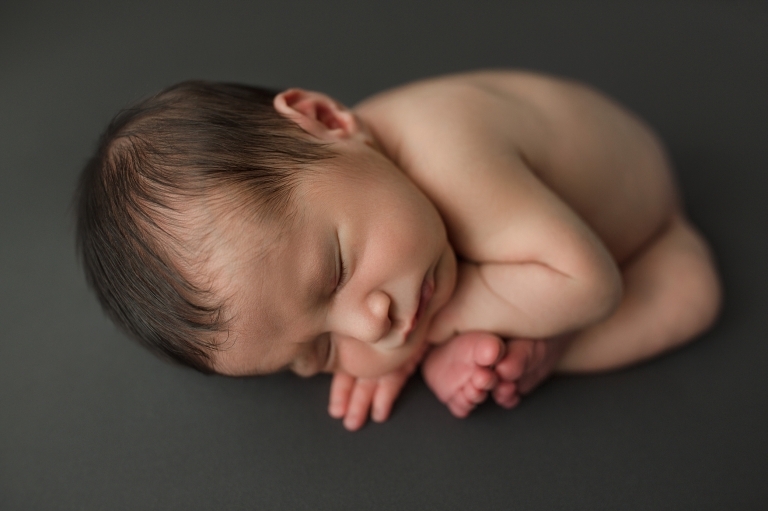 It really shows just how perfect this baby boy is and how adorable he is! A few of my favorite vendors from this session are Fancy Fabric & Props, which is where the cream backdrop is from. The thick knitted cream bonnet is from Riley’s Mom Makes Hats and the cream knit wrap is from Prop Me Up Shop.